Set your hair growth goal and write it on a notecard. Tape this card to your mirror and review it at least once a day. Having a clear goal will give your direction and a great starting point to compare your final results to. What is a photo treatment btw? A photo treatment – taking photos to examine and appreciate the look, beauty, and condition of your hair. 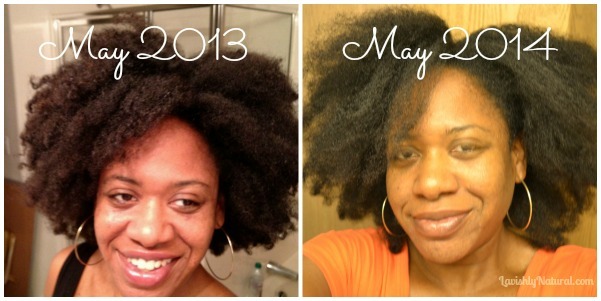 I became a HUGE believer of photo treatments after my last hair loss experience. As I trimmed and cut off all dead and damaged ends, I started wet and dry detangling with my fingers. My hair came out even more when using any other method. I was so upset about the hair loss because I didn't really want to cut my hair off again and start over. Using the techniques in this book helped me get through the difficult days with some effective techniques I still use today (smoothing is the bomb!). Plus, her detangling method stopped my hair from coming out in clumps. To enhance your current detangling practice, watch Chicoro's Finger Dry Detangle Process. Based on your answer, create your hair goal for our Winter Challenge, and post it on your mirror. Don't forget to take at least 1 hair selfie each week during the challenge! Keeping a photo diary of your progress, is one of the simplest measurements you can use to review the overall growth and health of your hair. It may also save you a 'trim to much' off your ends. Next time you want a trim, take a few photos first, sleep on it, and look at them in the morning. I guarantee you, you'll change your mind! If you are prone to scissor happiness like this naturalista — it can easily save you an inch and a tear or two!